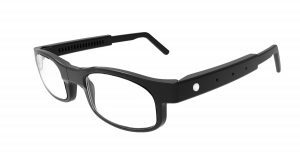 According to the World Health Organization, due to a lack of opticians and eye doctors nearly 700 million people do not have the glasses they should have. Also, a lot of people with eye defects have none at all. A team from the Prague company AAA Techlabs, headed by Philip Staehelin and funded from the B2B Grant Programme managed by the Czech Development Agency, decided to develop some truly revolutionary glasses. 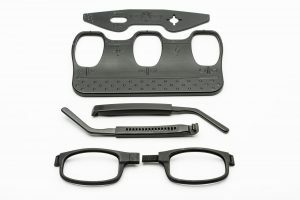 These are unique prescription glasses under the trademark DOT Glasses, and the adjustable arms and bridge and limited choice of lenses means they can be worn by anyone. And, most of all, they will cost little enough for people in the poorest countries in the world to be able to afford them. 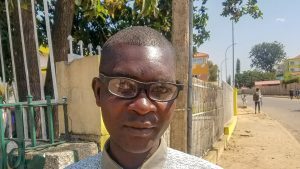 “The design of the prescription DOT Glasses and the unique lens model for “good enough eyesight” is a huge step forward in resolving the problem of poorly-sighted people all over the world. These glasses will be the world’s cheapest solution to defective eyesight and will be first made available to people in the very poorest and most remote villages in India. They will then gradually be provided to people in other developing countries,” believes Staehelin. After two years of development the glasses are now ready to be produced, tested on the market and distributed through partner organisations in India. 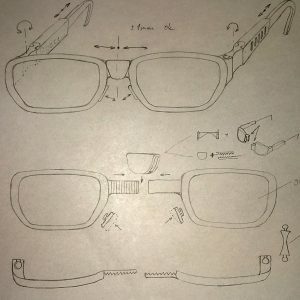 The glasses were designed by a joint enterprise comprising Mercedes-Benz and AKKA Technologies, with which cooperation was excellent, according to Staehelin. The frames will also be made from several components, which makes it easier to implement any changes in the design of a particular model. Before mass production and distribution start in full it is expected that the glasses will be tested on a small market, which will provide useful feedback. 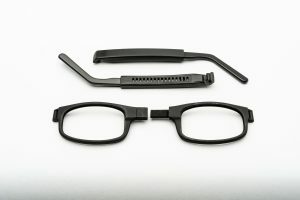 The fundamental advantage of DOT Glasses is the fact that, thanks to the adjustable bridge and arms, which form the separate components of the glasses frames, they will fit any user. People also take a simple eye test while they are there, and then choose the most suitable lenses from a limited range that fits both rims; the lenses are then just lightly clicked into place. “These glasses will meet the needs of the poorest and most remote communities, which have never had access to them before. Our project will also enable the creation of local “micro-enterprises” of glasses sellers, which will initially be funded from micro-loans, to finance the initial inventory, i.e. a set of 10 pairs of glasses. That will help to develop enterprise in local communities,” adds Staehelin, describing another important aspect of the project and one of the reasons why it has been supported by the Czech Development Agency B2B Grant Programme. The concept of micro-loans based on the provision of small loans to poor entrepreneurs who do not have a good enough credit rating to obtain a loan from a traditional bank was made famous by the Bangladeshi economist and banker Muhammad Yunus. Further proof of the success of this concept is the fact that Muhammad Yunus and his bank Grameen were awarded the Nobel Peace Prize in 2006. The project launched in May this year assumes that one of the key milestones in the following year will be the production of the injection moulds that will be used to make the glasses frames. The final negotiations are currently under way with the manufacturer and the plastics processor. This will be followed by contracts with a supplier of low-cost lenses and agreements with selected distribution partners in India. The first market test will then be carried out and commercial operation should be fully launched in around June 2020. “The business associated with DOT Glasses is fully sustainable. The business is set up “to make a profit”, and reinvesting the costs will help us to grow more quickly and help more people. This is what makes us different from non-profit organisations, which are dependent on the amount of funding they receive,” says Philip Staehelin about the business side of the project. Given his good contacts in India he is counting on the involvement of the Indian government, local government, charities, eye clinics, hospitals and doctors, retail chains, small shops and of course potential local entrepreneurs. Thanks to micro-loans these can also include non-working women and families living below the poverty line, who will finally have the income they need so much. “We like this project very much and it is clear that AAA Techlabs will need external funding to implement it, and so we have decided to provide it with a grant. The company’s representatives are also well aware of the potential risks of doing business in India, which is why distribution will also be aimed at various partners such as eye clinics, charities and retail chains. This reduces the risk to the project as a whole if one of these fails,” says Ludmila Leškovská, who is in charge of the B2B Grant Programme at the Czech Development Agency. So far, everything indicates that in a few years, thanks to a Czech firm, there will be a significant reduction in the number of people in India who cannot see properly and do not have enough money to purchase traditional glasses. And after a successful test in India there is nothing to prevent DOT Glasses from being made available to the poor inhabitants of other developing countries. You can read more about these glasses here. India who cannot see properly and do not have enough money to purchase traditional glasses. And after a successful test in India there is nothing to prevent DOT Glasses from being made available to the poor inhabitants of other developing countries. You can read more about these glasses here.